When it comes to selling property in Marin, there are few agents who can compare with the successful track record of Randi Deutsch. 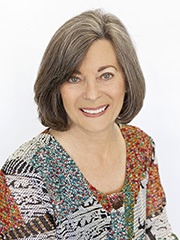 Randi has been brokering unique home and commercial real estate transactions in the Marin area for 40 years. She believes that Marin residents enjoy one of the most desirable lifestyles in the world. Join them and let her experience give you a critical advantage in the current competitive market where the right agent can make all the difference. Randi combines her expertise with Sotheby's International Realty's global branding and powerful outreach to affluent buyers from around the world. Additionally, she surrounds herself with an extensive network of relationships with the most trusted photographers, stagers, designers, architects and engineers in the Bay Area. Consider them yours. Distinct in her ability to predict and avoid potential obstacles and to attract large numbers of targeted and highly-qualified prospective buyers in a short amount of time, Randi ranks in the top 1% in her market area with one of the nation's most respected real estate brands. Randi credits her success to advanced research foundations and a habit of partnering with the best talent in the real estate business. To serve her clients, she activates a diverse set of disciplines in marketing and brokering homes and investment properties. Randi is a graduate of UC Berkeley and offers a strong background in finance, mathematics, physics and the humanities. She is also an amateur gardener and designer, and collector of Mexican fine and folk art. Randi donates her time & money to fundraisers like the Mill Valley Garden Tour, Home for a Home which builds homes in Guatemala for indigenous communities, and other numerous charities.